Book your transfer with Sydney Corporate Hire Cars on our Private Airport Transfer service today! At Sydney Corporate Hire Cars our Private Airport Transfer service is available for transfers between Sydney Airport, and 18 locations across Australia. The Private Airport Transfer service aboard Sydney Corporate Hire Cars is an express on-demand door-to-door transfer service. Your vehicle will be travelling exclusively for you and your group, directly without stops or delays, to your destination. Your transfer time will be best suited to match your specific requirements and the driver will pick you up and drop you off whenever it suits you. Our Private Airport Transfer service is available 24 hours a day 7 days a week and can be booked up to 24 hours ahead of travel. At Sydney Corporate Hire Cars we offer fixed transfer fares starting from $180.00 AUD total one-way and with enough seat capacity for up to 2 passengers. Your final fare with us includes luggage allowance for 1 carry-on bag and 1 check-in bag per passenger. Also included in all our fares are airport parking fees, any tolls along the route and your drivers waiting time. 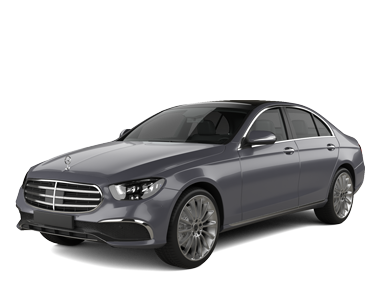 Sydney Corporate Hire Cars is a transport company based in Australia and we have been a professional transport supplier on Jayride since December 2017. Welcome to Sydney Corporate Hire Cars, corporate chauffeured car specialists. We are your one stop corporate car service for all your transportation needs. Sydney Corporate Hire Cars provides distinctive, high quality professional car service at competitive rates. We aim to exceed all expectations and maintain at all times the highest level of standards for all corporate clients. We look to uphold the integrity, reliability and all round professionalism expected of a corporate car service. Whatever your transportation needs are, Sydney Corporate Hire Cars is here to provide you with swift, punctual and efficient service. Our luxury sedans cater for all your business and personal needs, ranging from transfers to and from Sydney Airport, important business meetings, business conferences and seminars, or any other service you require. Sydney Corporate Hire Cars specialises in going that extra mile to ensure your smooth transition, and we are committed to complete quality service and customer satisfaction.